Located a mere two blocks from downtown Mackinac Island, the Island House Hotel has the perfect balance of relaxation and convenience – it is a quiet retreat from the hustle and bustle of the downtown area. 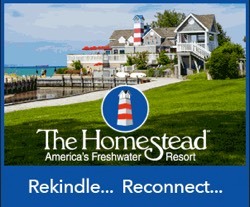 The Island House has 93 guest rooms as well as three suites to serve your needs. Other amenities to make your stay more enjoyable include our pool house with hot tub and sauna and two full service restaurants. Originally built in 1852, the Island House was the first summer hotel on Mackinac Island. As tourism grew, the hotel was moved in from the shore and expanded. By the 1890s, it was known as the “Best Family Hotel on the Island”. 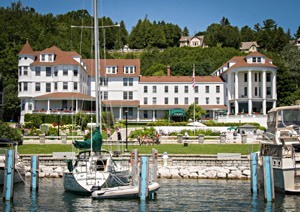 Today the Island House Hotel is the perfect destination for your Mackinac Island getaway. From the sweeping open-air veranda, overlooking the Straits of Mackinac, to the wonderfully remodeled interior, we are sure you will not be disappointed.